It's time to Fill the Cookie Jar for November! Where in the world did October go? I for one, am ready for some lazy fall days of kicking back, and enjoying some cozy fall food and flavors. How about a movie night with a cup of hot chocolate? Yes, please! I did manage to make a cookie to share with you that really pulls together all the traditional fall flavors. I have to give my mom a big shout out on this one, without her help brain storming this cookie I would have missed filling the cookie jar this month. I think her idea was great, and the flavors here are so perfect. Fresh cranberry, highlighted with some fresh orange juice and some zest, and then some pecans. It's like Thanksgiving in a cookie! In large mixing bowl, combine butter and both sugars with electric mixer. Mix until butter is completely incorporated. Add egg, mixing well. Add orange zest, and orange juice. Add wheat, all-purpose flour, baking soda, and salt. Mix just until combined. Fold in chopped cranberries and pecans. Mix until evenly distributed. Cover and chill in fridge for at least one hour. Preheat oven to 375 degrees. Line baking sheets with parchment paper. 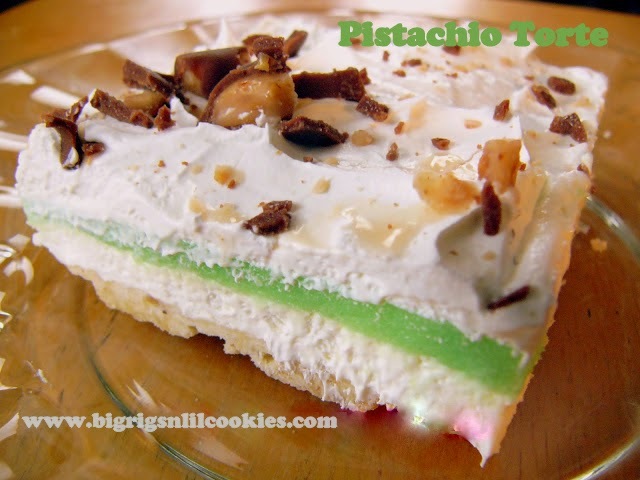 Using small cookie dough scoop, drop several inches apart on baking sheet. Bake for 9 to 11 minutes, or until edges have just turned golden. Cool for 2-3 minutes on baking sheet, then transfer to cooling rack. In small bowl combined powdered sugar, orange zest, and half of orange juice. Stir until combined. And remaining orange juice as needed to reach desired drizzling consistency. After glazed, let set until glaze is hardened. Store in refrigerator in air-tight container 3-5 days. They look so beautiful and I do love the combo of cranberries and orange. Awesome cookies, Kris. Orange and cranberries is such a wonderful flavor profile. I know that these cookies were as good as they look. They were, Wendy :) So glad I met the combination of orange and cranberries! Lovely holiday flavors, cranberry and orange are such a classic combo! These cookies look fantastic! It really was a great way to capture the holiday flavors! It's ALL about the glaze! Cranberries and pecans are the best part of autumn eating. Can't wait to try your recipe that combines both of my favorite flavors. Such a beautiful cookie! I love the red of the cranberry and the orange from the zest! I bet they taste amazing, too! I thought the colors were so eye catching too! Hi Kris, I love your Cranberry Orange Cookies. I haven't yet used fresh cranberries in cookies or scones but I think it's time to give it a try. Your cookies are perfect for Fall, and yes, I'll take them with the hot chocolate and a movie. I love cranberry and orange together..it's a perfect combo for this time of the year. They look delicious! What a delicious looking cookie! I could use a few lazy days... if you find a spare could you send it my way?! A classic flavor combo, Kris! I love that you put it in a cookie! The flavor combination sounds perfect! These look like a wonderful fall treat. It really is. Thanks, Rebekah! These have such beautiful color! Can't wait to try these. The color does pull you into trying them, doesn't it? I love the cranberry orange combination. Toss in some pecans and I am happy happy! These cookies look wonderful and the cranberry tart would be so great! I love the orange and cranberry combo! Your Mom was right, what a great combination. I have become very fond of cranberry in my old age and I know I would love these. I am so glad you are a part of the Fill The Cookie Jar group! See you next month. 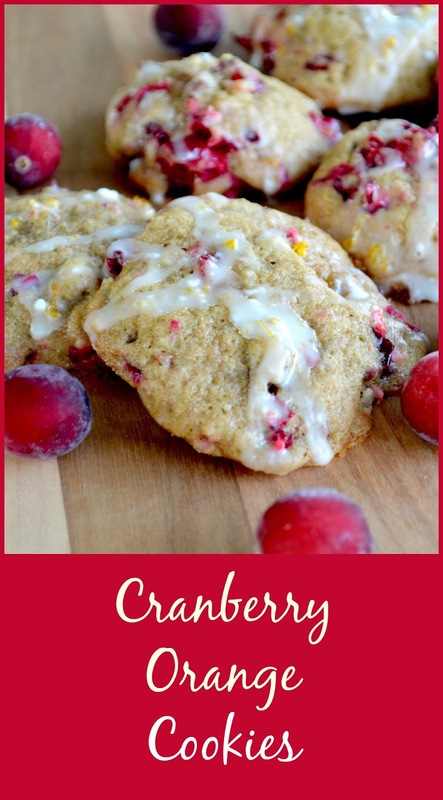 Hi Kris, this cranberry and orange combo is a match made in heaven, love, love these cookies! How did I miss these? I love cranberry and orange - these look fantastic!